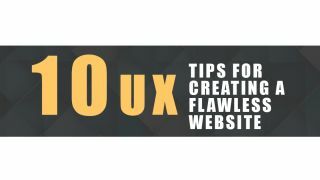 Learn how to improve your website's UX with this 10-step infographic. For visitors to your website, few things are more frustrating than bad UX. Poor UX can turn a potential buyer browsing your site into an irate reviewer who spreads bad feedback about their experience. So if you're using a website builder or an in-house web designer to create your site, make sure you prioritise good UX. But with UX being such a pivotal and complex topic, where do you start? Thankfully the team at website builder ucraft are here to help with a 10-step infographic that leads you through the key details. Covering the foundations of good UX, including how to effectively use white space, the importance of responsive web design, the benefits of live chat and more, this infographic might be a little on the straightforward side when it comes to design, but it contains all the information you need to get started with building effective UX. Have you got each of these ten steps in place on your site?